The World Series of Fighting is back at the Foxwoods Resort and Casino in Mashantucket, Conn. It’s a return to Friday night for the promotion, too. 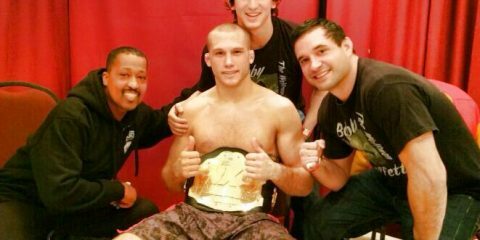 The last time the WSOF was at the Foxwoods Resort, it produced a good night of fights where Jon Fitch, Blagoy Ivanov, Nick Newell and Vinny Magalhães all found the winner’s circle. The ratings for WSOF 24 checked in at 167,000, but it was a busy sports night with high-profile MLB playoff and college football games and boxer Gennady Golovkin fighting on pay-per-view. The WSOF 31 card has some fights at the top of the bill that are designed for the casual fans, but it’s made more interesting by some of the prospects who enter the Decagon earlier in the evening. 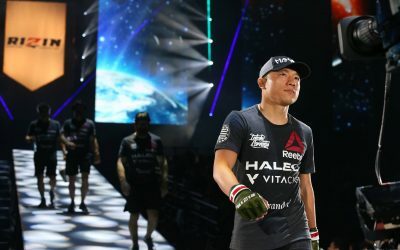 There are some very important match-ups at 170 and 155 pounds, and we could see a featherweight title challenger at emerge as well. The action kicks off with the preliminary card on WSOF.com at 5:45 p.m. ET on June 17. 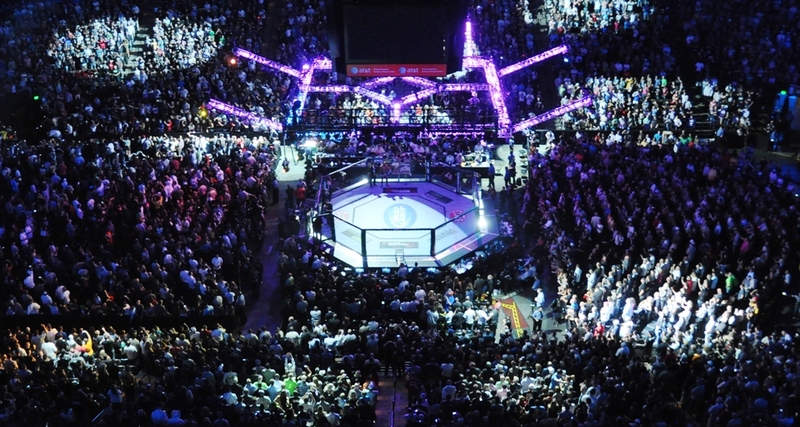 The main card airs live on the NBC Sports Network at 9 p.m. ET. The heavyweight title is on the line when Blagoy Ivanov looks horns with Josh Copeland. 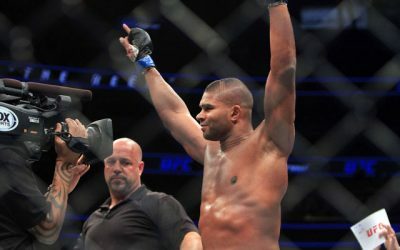 These two fighters are more similar in their approaches than one might think, but it is ultimately their differences that make the fight interesting. 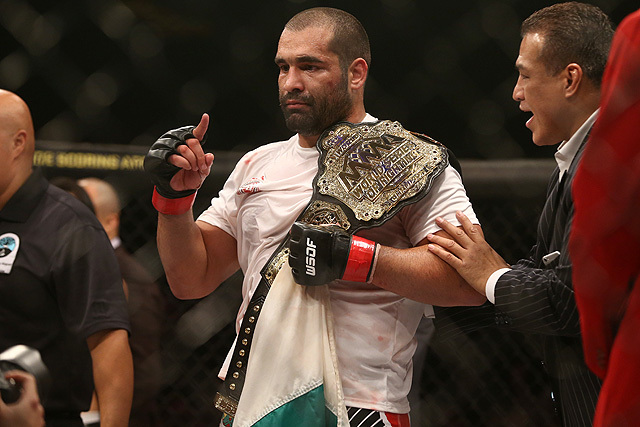 Ivanov’s main claim to fame, outside of his WSOF title, is a sambo victory over Fedor Emelianenko. That sets the table for all the interest in him, but move beyond that and you’ll find a hell of a fighter. His record has only one blemish: a loss to Alexander Volkov by rear-naked choke. Volkov found Ivanov’s back in the scramble off a takedown that Ivanov had completed. Ivanov was getting outstruck, but his Russian counterpart did have a substantial height advantage. Ivanov is on a two-fight winning streak since the Volkov loss. Ivanov is sharp on his feet, sees punches well and looks to counter. He is an effective counter fighter while still looking to move forward. He does keep his hands low, but he makes it work by being so reactionary on counters. The southpaw is ultimately looking to crack his opponents with straight lefts moving forward and short right hooks moving back. He’s an extremely accurate striker and will quietly wreck his opponent’s whole face. Copeland is a former college wrestler who was — and still is — a teammate of Justin Gaethje. He comes into this title fight off a dominant win over Mike Hayes, but it’s a contest many thought he should have finished. However, it was his first fight with the promotion and a bounce-back fight after his loss to Vitaly Minakov. Minakov shredded Copeland’s shoulder to end their encounter in the second round. Copeland’s background is in wrestling, and he does it well. He’s good at closing the distance and stays heavy on top. He is very active against the cage, too. On the feet, he does everything a fighter should do well, although he does strike mostly with his hands. He’s active, quick and moves fairly well for a heavyweight. He has a solid gas tank, and he will seem more gassed than he actually is. This fight is Ivanov’s to lose. He is a lot sharper on the feet and can hang with Copeland in the grappling department. Copeland obviously has the better wrestling, but Ivanov can avoid the wrestling traps with good footwork. Copeland gets a little wild in the striking. 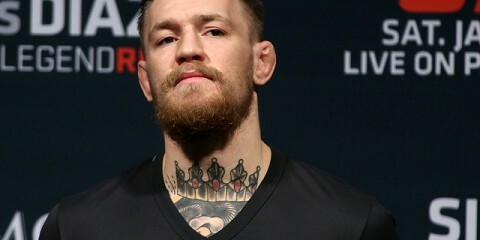 Unless he comes in with a game plan that is takedown-heavy early, he may spend the first two or three rounds getting busted up and the last rounds swinging for the bleachers in hopes of catching the champion. Copeland has the skill set to take this fight, but he gets wild sometimes and Ivanov will exploit those holes. When these two high-profile lightweights battle in a highly anticipated match-up, the prize awaiting the winner could be a title shot. 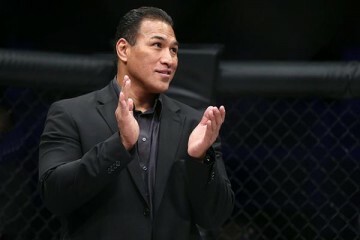 Ever since Jason High and Mike Ricci first entered the Decagon, it has sort of been in the wind that they have the pedigree to challenge lightweight kingpin Justin Gaethje. Their paths looked to be different — Ricci was in the eight-man tournament and High was not — but their paths cross now. High is a bully — and that’s meant as an absolute compliment. While he can certainly handle business in the stand-up, High, a southpaw with power in his hands and feet, is looking to close the distance and brutalize people. 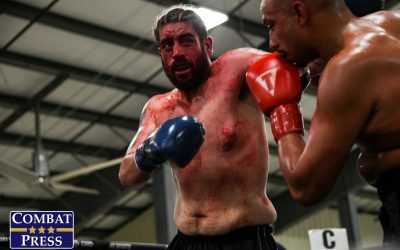 Despite all the technique — technique that continues to grow as he coaches Brazilian Jiu-Jitsu at American Top Team — it’s violence he’s after, and he won’t rest till he gets it. Ricci is a little slicker, in the sense that he’s about distance and taking advantage of his size and reach. He is an outlier physically at 155 pounds. People have short memories in this game. While Ricci has been dismissed a little, he is still the guy that knocked Neil Magny so crooked that Magny tried to roll up on the ref after their The Ultimate Fighter fight. He did it in close against the cage with the nastiest elbow this side of Jon Jones. Ricci can grapple, but it’s largely defensive. He is looking for big finishes, like the Magny one and the high-kick knockout that turned Joe Condon’s lights out. Both of these guys are coming off fights where the high kick was the beginning of the end for their opponent. The way High paws his jab is not something that is conducive to success on the feet. It does work for him, but it presents openings to be countered. Ricci has the height and reach advantage by a large margin — three and seven inches, respectively. Where the concern for Ricci lies is that he can be had in grappling exchanges on the feet. Condon had success getting Ricci against the cage, but he did not keep Ricci there. High would have more success in those areas than Condon. So, the fight is ultimately about distance. It’s High’s fight if it’s close and Ricci’s if it’s fought on the outside. However, High’s chance of success are better in Ricci’s world than vice versa. High, when speaking with Jason Floyd of The MMA Report, said that he was comfortable fighting bigger guys from his time at 170 pounds, and I believe him. High will bully Ricci against the cage and engage in a grappling match. If High doesn’t fall in love with any early success he may have in the stand-up, then he grinds Ricci out and moves on to Gaethje. The last time Luis Palomino fought at featherweight was when he fought Pat Curran at Bellator 46 almost five years ago. He lost by submission and then proceeded to go 8-5 as a lightweight. He is 2-3 over his last five outings, but in fairness the three losses came against the two fighters who just fought for the lightweight title, Gaethje (twice) and Brian Foster. Palomino is back at 145 pounds to give a championship test to young Brazilian stud Sheymon Moraes. 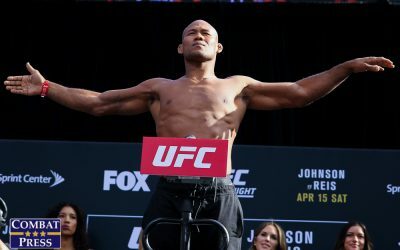 Moraes, the fighting pride of Black House and Team Nogueira, dropped a championship bout to Marlon Moraes at bantamweight and then bounced back with a knockout victory at featherweight against UFC veteran Robbie Peralta. Despite their diversity of skills, this is an action fight and these two will be looking to get a finish on the feet. Palomino is the perfect test for Moraes right now. As the featherweight championship gets squared away after the controversial finish between Lance Palmer and Alexandre de Almeida, who square off in a rematch in July, we have time to see what we have in Moraes. The former bantamweight changed weight and brought his power with him, as evidence in the Peralta knockout. But Palomino is different. He’s a championship-level fighter in the WSOF and he’s taken 155-power and lived to tell about it. It won’t be easy, but if Moraes can finish Palomino, or at least rock him a couple of times, then it really helps his case for a fight with the winner of the upcoming title tilt. It’s hard to know how power will carry from opponent to opponent, but Palomino’s chin can be found. As he has aged, that chin seems to be going. Gaethje found it twice and Foster found it once. Moraes is giving away one inch to Palomino in height, but he does have the advantage in reach by two inches. This seems to be Moraes’ fight. The only concern he should have is how much he exposes himself in the pursuit of a finish. 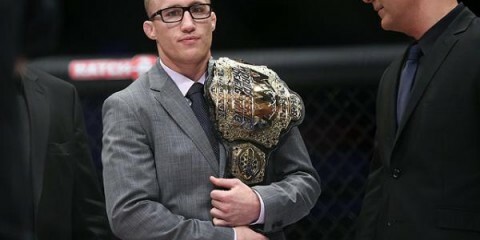 If he stays true to himself and seeks the finish without getting into a Gaethje-like gunfight with Palomino, he should be the next contender for the featherweight title. Phil Hawes is raw. We know that. What we also know is that he trains at Jackson-Winkeljohn, and training there is like training in dog years. For every year there, it could be like seven years spent at a lesser gym. He’s also training at Jackson’s while Jon Jones is training for the most important fight of his life, and that raises the level of the camp that much more. Joshua Key is a vet. Look up fight tape of him and you’ll find that he is on his back a lot. He doesn’t go easy, but he goes. Furthermore, he goes against guys not at the same caliber of Hawes. This fight isn’t really for Key to win. This doesn’t mean he can’t win, but it’s not the purpose of this contest in a larger sense. The purpose is to evaluate Hawes. How does he handle a bigger stage? How does he handle a step up in competition? How have his skills evolved? Hawes has enough as a raw prospect to beat Key, but keep an eye on how he is progressing. The progress is the difference between Hawes out-wrestling Key to a 30-27 score on all cards and Hawes scoring the finish. John Howard has one of the more impressive resumes in WSOF history. 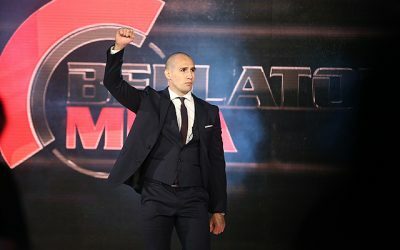 He has been in there with a bunch of studs — Charlie Brenneman, Uriah Hall, Siyar Bahadurzada and Cathal Pendred — and has victories over several of them. 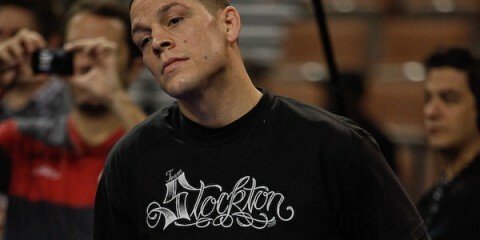 He, like a lot of fighters who aren’t competing inside the Octagon, fights with one eye on the UFC. 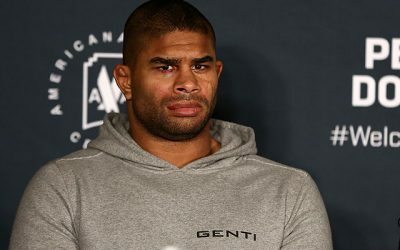 Howard is different in the sense that his last loss, the one that got him cut from the UFC, was to Tim Means, a fighter who popped for performance-enhancing drugs. One thing is clear about this fight: if Howard hopes to get back to the UFC or even have a great career with the WSOF, he has to take out Michael Arrant. Arrant, a late addition, will be looking to make his name against Howard, but the only guys he has been in there with that approach Howard’s level are Brock Jardine and Brandon Thatch. Arrant lost both fights. 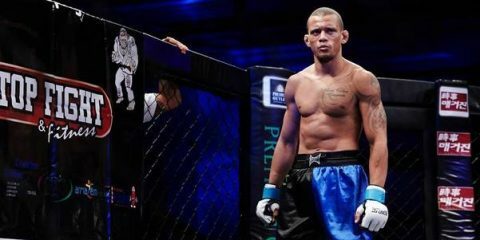 If Howard scores an impressive victory, then he could be on the fast track to a showdown with welterweight champ Jon Fitch. Howard has a name, and the key is to bolster his name with an impressive performance. Howard will get that win, but it might not be impressive. After six months out of the cage, Howard will use his WSOF debut to get acclimated in a lot of ways. In what could be billed as the WSOF’s version of a Fight Pass featured bout, a couple of under-the-radar lightweights could put on a hell of a fight during the prelims. Bruce Boyington is a boy in name only. He is 37 and has been in the game for a while. 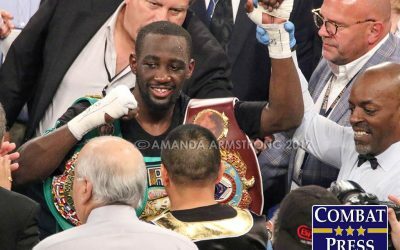 Boyington has found more success recently — he’s on a four-fight winning streak — and seems to be figuring it out. Saul Almeida, who served as José Aldo’s interpreter during the world tour for Aldo’s fight against Conor McGregor, certainly picked up more from Aldo than an accent. Almeida feels that he will control where the fight takes place and can finish Boyington in a lot of different ways. Almeida may be a bit too optimistic, however. It’s going to be a back-and-forth fight throughout. Almeida only gets a reluctant nod.